Every year ABSOLUT Vodka produces a limited bottle to celebrate the holidays producing a perfect gift and collector’s item, which elevates and brings energy to any party or night out. 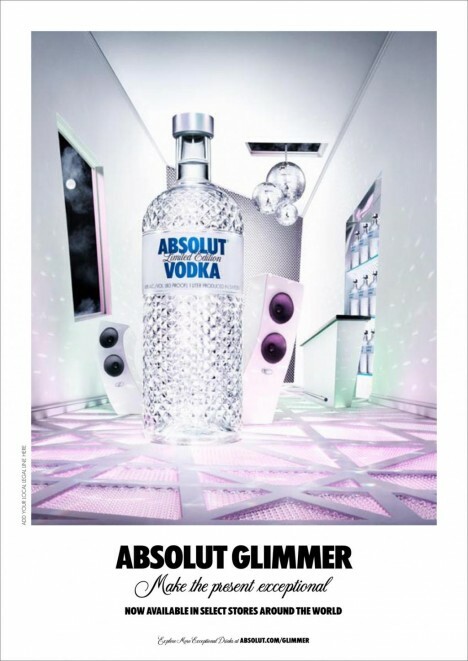 This year they’ve created ABSOLUT GLIMMER which for the first time ever they modified the shape of the glass with crystallic facets. Though the bottle is limited 4.8 million of them have been produced. The new bottle launch is backed by a powerful 360-degree campaign in all available media, including billboards, in-store installations, web and moving media. The campaign highlights the iconic qualities and optical illusiveness of the bottle.